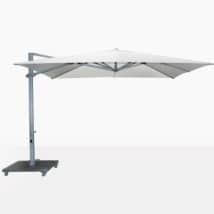 The canopy is made of Sunbrella® fabric and available in different colors, including white, taupe, grey and black (shown). 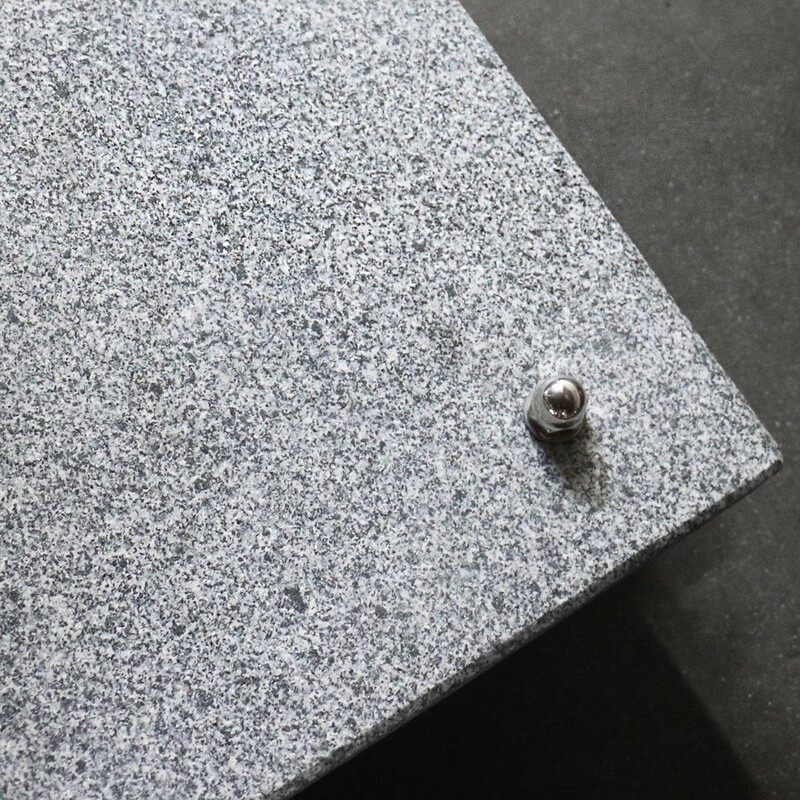 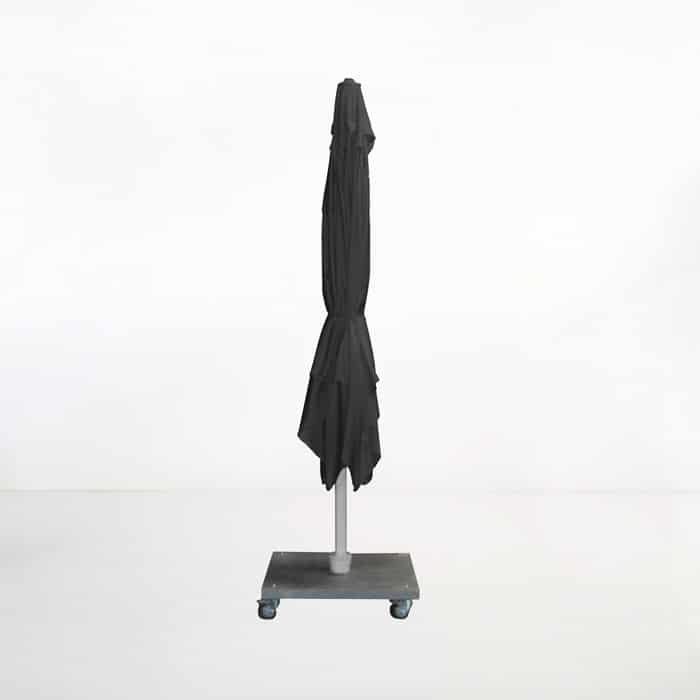 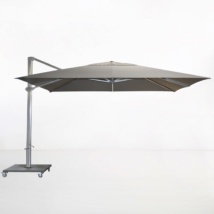 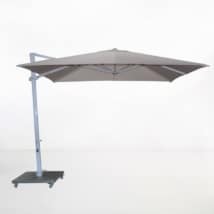 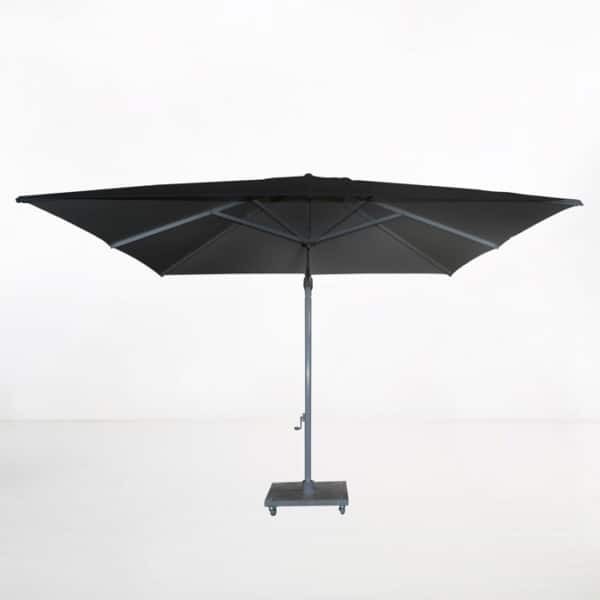 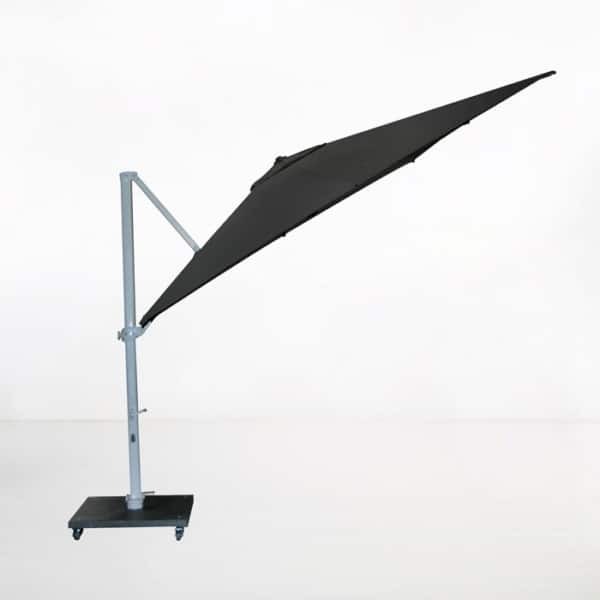 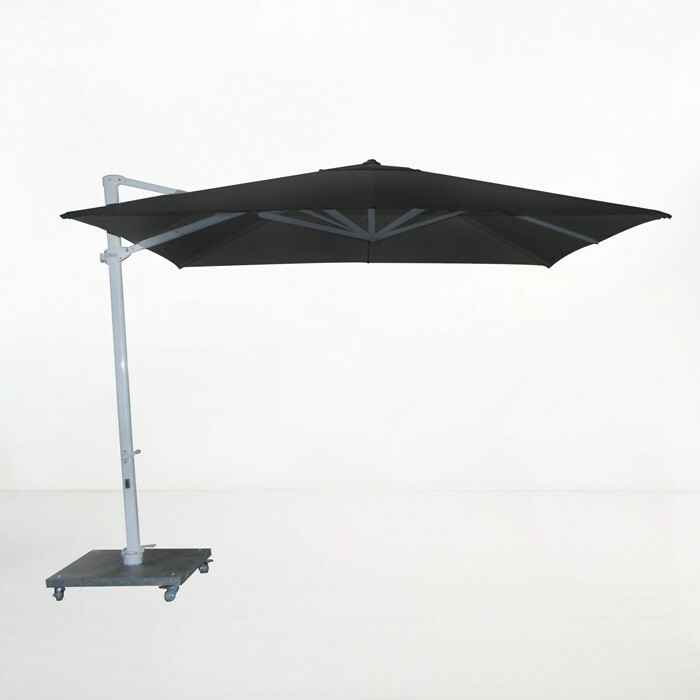 The granite base with wheels, as shown, is included in the price of this cantilever umbrella. We also have available an in-ground base option for this cantilever umbrella.